Amphenol Unveils New OEM-Certified 10G-SFP+ Optical Transceiver Modules (10GBASE-SR Multimode) for 10GbE SFP+ Optical Data Links up to 300m (984′). ENDICOTT, N.Y., Nov. 18. 2015 /PRNewswire/ — Amphenol Cables on Demand (www.CablesOnDemand.com), an online subsidiary of interconnect-industry leader, Amphenol Corporation, proudly announces the launch of its new 10-Gigabit (10GBASE-SR) SFP+ Multimode Optical Transceiver Modules. This precision-engineered 10GBASE-SR SFP+ Optical Module is available exclusively from Amphenol Cables on Demand for as low as $76.95 per module. Optical Transceiver Modules for SFP+ applications are the logical evolution to Amphenol’s popular copper line-up of Active andPassive SFP+ Direct Attach Cable Assemblies, according to Nick Blas, Cables on Demand Product Manager. “With millions of Amphenol brand Passive Copper Cables deployed worldwide for SFP+ applications, there’s no doubt that copper dominates the majority of the SFP+ interconnect market today.” Blas notes that despite SFP+ copper’s popularity, some design limitations, such as maximum link distance and cable management, are best remedied by switching to an optical SFP+ interconnect solution. Amphenol Cables on Demand addressed all of these aforementioned design limitations by releasing its new 10GBASE-SR SFP+ Optical Modules. While nearly identical to copper SFP+ visually, the SFP+ optical module’s advanced integrated circuitry automatically converts the SFP+ port’s default electrical interface to optical, amplifying the resulting optical signal with an efficient VCSEL laser driver and terminated to an integrated duplex LC connector on the rear of the module. Amphenol Cables on Demand, launched in 2006, is a division of Amphenol Corporation; a leading global interconnect manufacturer. It is Amphenol’s first e-commerce-based subsidiary specially optimized for the resale of Amphenol brand cable products online. Based in Endicott, NY, Amphenol Cables on Demand offers same-day shipping before 3:00 PM Eastern on 2,500+ unique products supporting multiple applications including Network, Broadcast, Test/Instrumentation, Audio/Video, Data Storage, Clustered-Computing, Prototyping, Automation, Wireless and beyond. This entry was posted in 10 Gigabit Ethernet, 10GBASE-SR, Cables on Demand, Cisco Certified SFP+ Modules, Dell Certified SFP+ Optical Modules, HP ProCurve Certified SFP+ Modules, SFP+ Cables, SFP+ Modules and tagged 10-Gigabit Ethernet, 10GBASE-SR, Amphenol, Cables on Demand, SFP+, SFP+ Optical Module, SFP+ Optical Transceiver on November 18, 2015 by cablesondemand. Part one of out exclusive Guide to Better Wi-Fi served as an introduction to topic, with particular emphasis placed on the history, environmental and channel characteristics of Wi-Fi technology. The challenges encountered by the typical Wi-Fi network user and/or administrator are profuse; primarily due to extreme overcrowding of the prominent 2.4 GHz 802.11B/G/N Wi-Fi band. Wherever Wi-Fi signal density is classified as medium to high, such as urban and suburban housing, commercial districts, and educational campuses, problems such as wild fluctuations in wireless signal strength, dropped connections, sluggish response times and unreliable download speeds become par for the course. Unfortunately, such conditions have become so pervasive in the technologically sophisticated society we live in today, many Wi-Fi adopters have simply come to believe a subpar wireless networking experience is acceptable. Well, the good news is…it doesn’t have to be that way! There are many tips and tricks out there to be tried; many of which will cost you absolutely nothing to try. Before we dive into specific solutions, we need to talk about what I consider to be the “Tools of the Trade”. Perhaps the most critical tool of all is the ability to conduct a little Signals Intelligence (SIGINT) on the Wi-Fi band(s). While this may sound complicated and expensive, Wi-Fi SIGINT is a surprisingly simple endeavor. Essentially you want to turn your desktop PC, laptop or tablet into a fully functional Wi-Fi Scanner. You may be familiar with the once popular police scanner, a stand-alone device capable of scanning multiple radio frequencies in a short period of time; enabling a user to listen to fast-changing police, fire, military or aircraft communications. Luckily, your computer or tablet’s Wi-Fi adapter can be easily re-purposed as a Wi-Fi scanner while remaining to perform its principal duties of sending and receiving Wi-Fi network traffic with a connected wireless access point. In fact, your Wi-Fi adapter is constantly scanning or “roaming” the Wi-Fi band looking for the best signal to latch onto. Because this activity is being performed in the background with the assistance of the operating system, you may never be fully aware of its built-in scanning capacity. 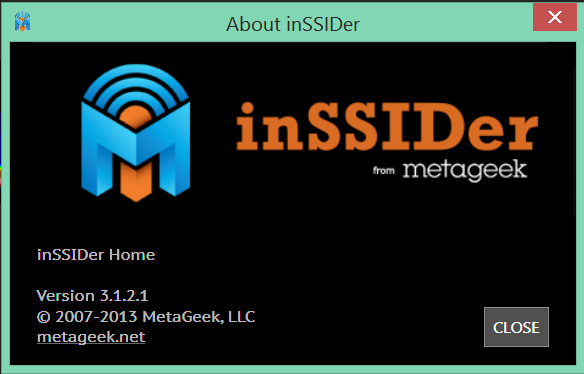 While there are multiple versions of metageek’s InSSIDer on the market for the home, office, or handheld device, this article series will specifically address InSSIDer Home version 3.1.2.1. This version, designed for use on any Windows PC, laptop or tablet, is absolutely FREE to use for home and related-sized Wi-Fi networks. It’s extremely easy to use, provides a wealth of valuable data and even offers direct tips under select circumstances to improve your Wi-Fi network performance. To help save our fellow blog followers the time and effort to locate this copy of InSSIDer, we’ve posted the InSSIDer MSI windows installer package on our server for a quick and easy download! Simply click on the link below to download the installer package. Once you’ve installed InSSIDer on your system, congratulations! You’ve successfully converted your computer or tablet into a full-function Wi-Fi Scanner. We will dive into InSSIDer’s “insides” in the next article in this series. In the meantime, there are a few other critical tools of the trade that you will need in order to implement the recommended changes to your Wi-Fi network configuration. 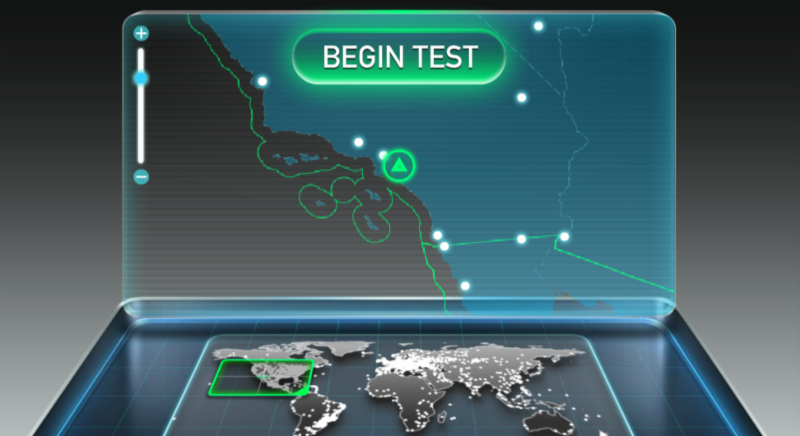 OOKLA also makes a great stand-alone version of their popular speed test in the form of an Android App. This version is better suited for smaller sized devices such as smart phones and tablets. Download a free ad-supported copy by searching for “OOKLA speed test” in the Android Market / Google Play store. Now that you have access to these important Tools of the Trade, it’s time to start scanning your home or office Wi-Fi environment and optimizing your Wi-Fi network. 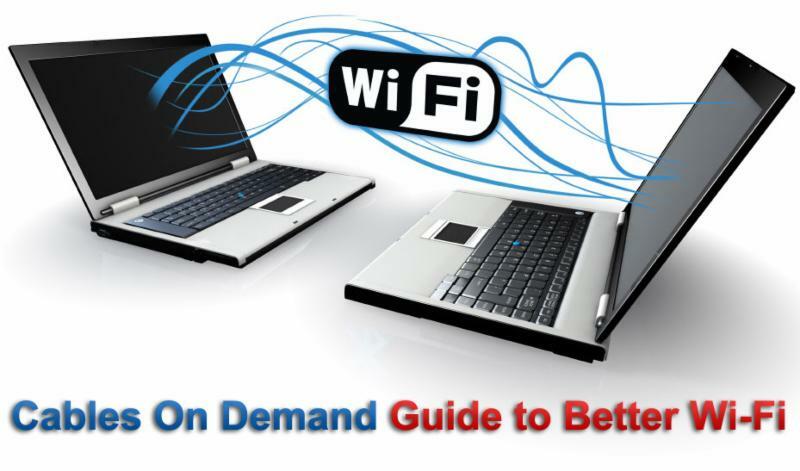 We will continue the discussion from here in part three of this multi-part Guide to Better Wi-Fi — coming soon exclusively at CablesOnDemandBlog.com. This entry was posted in 2.4 Ghz band, 5 GHz band, 802.11, 802.11ac, 802.11b, 802.11g, 802.11n, Cables on Demand, Wi-Fi and tagged Amphenol, Cables on Demand, WiFi, WiFi antenna on March 27, 2015 by cablesondemand. Read the Newest Cables on Demand Newsletter! Receive $75.00 OFF Online Orders Over $300.00 instantly at checkout thru Friday, February 28th. 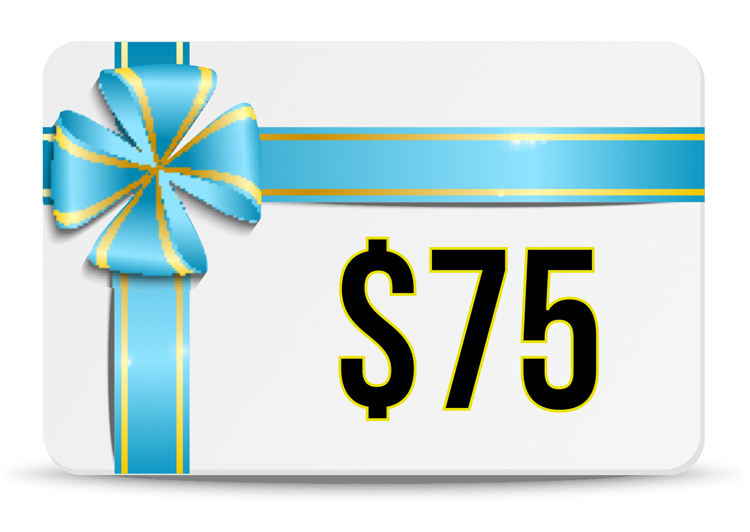 Visit us at www.CablesOnDemand.com today or click on the image above to claim your FREE $75.00 OFF Discount. 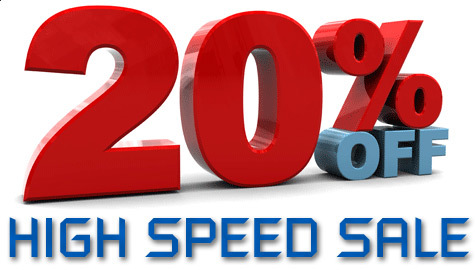 Don't forget to enter Coupon Code 'HISPEED' at checkout to receive your FREE 20% OFF discount today. 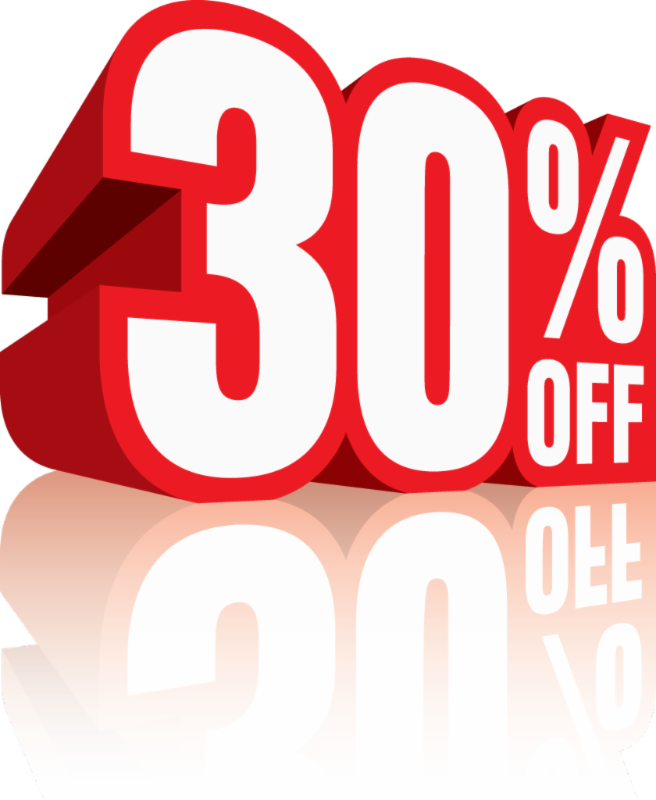 Enter Coupon Code 'CABLE30' at checkout through 2/28 to receive 30% OFF your CAT5e/CAT6/CAT6a order! 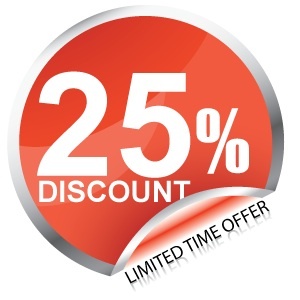 to receive 25% OFF your A/V, Coaxial, Fiber Optic Patch order! *Limit One Coupon Code or Discount Per Order. Offers End 2/28. Enjoy Free UPS Ground Shipping on $75.00+ Orders! Cables on Demand is pleased to offer two great shipping offers for our customers. All orders over $75.00 are eligible for Free UPS Ground Shipping. Orders under $75.00 are now eligible for $6.99 Flat Rate UPS Ground Shipping. Shipping offers apply to orders shipped within the continental U.S. only. All orders placed prior to 3:00PM EST will be shipped out today! Free Shipping offer valid after applicable discounts. © 2014 Cables on Demand. All Rights Reserved. This entry was posted in Newsletter and tagged Cables on Demand, cables on demand newsletter, news letter, newsletter on February 27, 2014 by cablesondemand. How Can I Extend the Length of my Logitech Z623 Satellite Speaker Connection? How do I Extend my Logitech Z623 Speaker System? Lou from Minnesota has approached us with an urgent question related to how to extend the connection on the back of his Logitech Z623 THX-Certified satellite speaker system. This topic comes up quite frequently because there is a lot of confusion out there about the connection type in question: d-subminiature or “d-sub” for short. This question extends beyond any single particular brand or model. Many manufacturers will use this same High Density 15-pin d-sub interface (aka HD15 or DB15HD) in their own speaker and HTIB (Home Theater in a Box) designs. You can see the HD15 male connector in the picture above of the Logitech Z623, where it is labeled as “Right Speaker”. The speaker systems that use the HD15 d-sub interface tend to already come with some form of HD15 d-sub cable in the box, but what happens if you lose it or need to extend it in any way? A proper HD15 d-sub cable will solve that problem — but it has to be the correct choice for the application. In the pictures above, can you really tell the difference between the regular HD15 d-sub on the left and the VGA HD15 d-sub on the right? They both have 15 pins. They both feature 3 rows of 5 pins each in a staggered arrangement. They both are contained within the same D-shaped housing. However, the similarities end there once you explore the insides of these cables. First, let’s look at the regular HD15 Cables presently available at Cables on Demand. 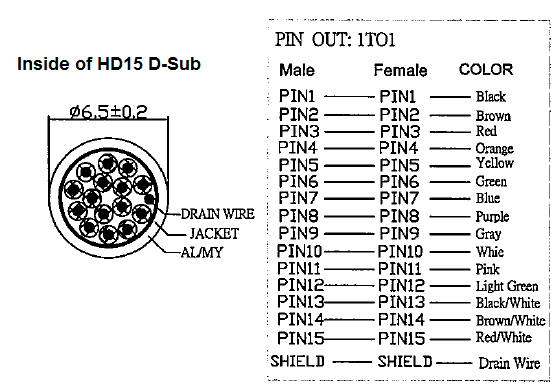 The drawing above for our Deluxe Series HD15 15-pin D-Sub Cable shows that the inside features 15 identically sized wires, all connected in a “straight-thru” pin-to-pin configuration (i.e. pin 1 routes directly to pin 1 on the opposite end of the cable). This simple arrangement is primarily designed for the transfer of low-speed data, i.e. RS232 serial port communications. Next, let’s take a look at the VGA Monitor HD15 Cable presently offered by Cables on Demand. The drawing above for one of our Premium VGA HD15 D-Sub Cables is radically different from the regular HD15 cable shown previously. First, you will notice that a VGA HD15 Cable is not made of 15 identically-sized wires. Instead, it consists of three different coaxial cables (used for RGB video signals), surrounded by several smaller wires. Also, while this cable type does feature “straight=thru” pin-to-pin wiring, it is not wired in order, i.e. the center pin of one of the coaxial cables goes to pin 1 and the shield return line goes to pin 6. So now that we know the differences between the two HD15 D-Sub Cable types, which one is appropriate for extending a speaker system like the Logitech Z623 pictured above? The answer is the first cable profiled: the “regular” data-grade HD15 d-sub cable. While these regular d-sub cables are generally used for data transfer, one can think of audio as an analog form of data. A good rule of thumb: regular d-sub cables are generally beige or grey in color, whereas VGA d-sub cables are generally black in color. The same wire used in our regular d-sub cable is also used in a variety of audio cables, such as speaker wire and instrument cables. As long as the d-sub cable is shielded, which all of our cables are, it can effectively transfer audio without the fear of noise entering the connection. The other HD15 d-sub cable type we profiled, the one designed for VGA video use, will simply not work because audio signals are not designed to transfer over coaxial cables! Now that you know which cable type to get, head on over to www.CablesOnDemand.com today and search for part number CS-DSDHD15MF0. Alternately, you can simply click on the image above or link below to go directly to the product. Our 15-pin (HD15) Deluxe HD D-Sub Cable (Male/Female) can effectively extend your satellite speaker system by up to 25 feet — a vast improvement over the ~ 6 to 10-foot length cable included with the satellite speaker system! For cases where the speaker system is installed in an environment more prone to interference, or in cases where you need to extend the speaker system by up to 50 feet, we highly recommend taking a look at our 15-pin (HD15) Premium HD D-Sub Cable (Male/Female) (pictured above). Our Premium HD15 D-Sub Cable (part number: CS-DSPMHD15MF) features double shielding (Aluminum Foil + Aluminum Braid), helping to preserve the audio signal over a longer distance. For extensions of 25 feet or less, our Deluxe D-Sub Cable with its Copper Foil Shielding will work just fine. If you have any additional questions regarding the huge variety of genuine Amphenol brand d-sub cable products available at www.CablesOnDemand.com, please feel free to give us a call at 1-866-223-2860 or e-mail: support@cablesondemand.com. To view all Amphenol brand d-sub cable products in one convenient location, please [click here]. This entry was posted in Cables on Demand, D-Sub Cables, VGA Cables and tagged 15-pin connector, Amphenol, Cables on Demand, cablesondemand.com, d-sub, hd15, logitech, speaker system, speakers, VGA, z623 on January 16, 2014 by cablesondemand. CAT5e/CAT6 Cable Questions? Check Out the Networking Cable Guide! Understanding network cable infrastructure can be a significant challenge. What type of network cabling is required for your application? Cat5E? Cat6? Shielded? Unshielded? Should you run Gigabit Ethernet or 100BASE-T? The answer isn’t always quite so simple. This exclusive Guide to Networking Cables is intended to demystify the confusion around this question. Whether you have a new network installation planned or simply an upgrade, Amphenol Cables on Demand has thousands of networking cables in stock and ready to ship. To Continue This Article, Please Click Here. This entry was posted in CAT5e & CAT6 Cables and tagged 1000BASE-T, 100BASE-T, 10GBASE-T, Amphenol, Cables on Demand, CAT5e, CAT6, CAT6a, FTP, Network Patch Cords, STP, Twisted Pair, UTP on January 6, 2014 by cablesondemand. Questions About Cables for Your HDTV? Check Out the HDTV Cable Guide! Unfortunately one of the most critical factors in ensuring a stellar HDTV experience is often overlooked. Simply using an incorrect cable for your HDTV installation can lead to an 80% reduction in picture quality, even if you’ve invested in the proper equipment. Some of the most common video cables used by today’s A/V devices simply cannot handle the strict technical requirements imposed by HDTV. If you are using any of the cables shown above as the connection between your HDTV and HD source equipment, you are missing out on the HDTV experience. This is one of the best indicators of HDTV compatibility, since a quick glance at the back of your equipment can verify whether the installation is compliant. These cables can still be used for connections between legacy equipment like VCR’s and an HD display. A great majority of HDTV’s can utilize any of the three cable types shown above. Component Video, DVI, and HDMI cables are all fully compatible with HDTV signals. All of these cables are optimized specifically for the purpose of carrying high resolution video signals such as HDTV. CablesonDemand.com carries all of these HDTV cable options for your home theater. quality provided through a Component Video connection is quite impressive, but not quite as sharp as a digital connection like DVI and HDMI. DVD players almost always provide the best picture quality through the Component Video connections. Since Component Video is an analog technology, it can be prone to interference, especially over extended runs. Component Video cables from CablesonDemand.com are designed to combat these problems. Gold Plated RCA connector terminations eliminate signal drop-outs caused by corrosion. Low-loss double shielded RG-59 coaxial cable permits longer cable runs and protects against interference. Compatible with all devices featuring Component Video connections; including HDTV’s, DVD Players, Sony PS3™, and X-Box 360™ game consoles. To browse our selection of Component Video cable products, please click the image on the right. option is available. Although most late generation HDTV’s use HDMI connections, it is possible to convert between HDMI and DVI using the proper cable. DVI cables from CablesonDemand.com feature a mixture of copper twisted pair and coaxial cable conductors in a flexible jacket. An additional layer of shielding is included to isolate the DVI cable from potentially harmful interference. Conductors are precisely spaced to maintain signal integrity over extended runs. Compatible with all devices featuring DVI-D or HDMI (with converter cable) connections; including HDTV’s, Digital Computer Displays, Upscaling DVD Players, HD-DVD™ and BlueRay™ Players, Sony PS3™, and X-Box 360™ game consoles. To browse our selection of DVI cable products, please click the image on the right. HDMI, or High Definition Multimedia Interface, is the premier HDTV interface. Specifically designed for High Definition devices, HDMI provides both uncompressed high resolution digital video and multi-channel surround sound over a single link. This drastically reduces your cabling requirements and setup time. The video component of the HDMI interface is backwards compatible with DVI when using the proper cable. HDMI should always be the preferred connection method if your equipment supports it. HDMI is a scalable technology, thus allowing for future technology upgrades without the need to replace the cable. HDMI cables from CablesonDemand.com have been certified by an HDMI compliant test lab. This compliance testing ensures that the cable uses the proper wire gauge and layout per the HDMI specification. By following such tight tolerances in the construction of the cable, HD resolutions up to 1080P are supported. Compatible with all devices featuring DVI-D (with converter cable) or HDMI connections; including HDTV’s, Digital Computer Displays, Upscaling DVD Players, HD-DVD™ and BlueRay™ Players, Sony PS3™, and X-Box 360™ game consoles. To browse our selection of HDMI cable products, please click the image on the right. This entry was posted in HDMI and tagged Amphenol, Cables on Demand, Component Video, Composite Video, DVI, HDMI, HDTV on January 6, 2014 by cablesondemand. Questions About 10GbE CX4 Cables? Check Out the CX4 Cable FAQ! Network Engineers have a plethora of cabling options when it comes to installing a 10-Gigabit Ethernet compliant backbone, but which solution is truly optimal under the circumstances? 10-Gigabit Ethernet CX4, aka 10GbE-CX4 or 10GBASE-CX4, combines low cost, low latency, and low power consumption for the ultimate short-distance link. Although CX4’s popularity has grown rapidly in recent years, there is still a great deal of confusion and misinformation regarding this technology. Our exclusive Guide to CX4 Cables will help with all of your CX4 related questions. Question 1: What is CX4? CX4, also known by its IEEE designation, 802.3ak, supports 10-Gigabit Ethernet data transfer over 4-lanes of copper cabling in each direction (8-lanes total). In order to rapidly bring this technology to market, the IEEE workgroup designed CX4 to utilize field-proven InfiniBand type cabling and connectors. Nearly one quarter of the world’s Top 500 super computers utilize InfiniBand interconnects for mission-critical applications, making it an ideal choice for CX4 use. While InfiniBand is more proprietary in nature and requires licensing fees, CX4 is based on an Open Source MSA (Multi-Source-Agreement), allowing any manufacturer to develop CX4 products at significantly lower costs. Question 2: What is CX4 Used For? CX4 is primarily used as a 10-Gigabit Ethernet interconnect for backbone applications. With the rapid rise of Gigabit Ethernet at the desktop level (1000BASE-T), a broader data pipeline is required on the back-end to aggregate data between servers. Therefore, it is not uncommon to see CX4 capable switches installed in nearly any environment, including data centers, enterprise networks, or even HD video distribution hubs. Question 3: Are there any Limitations to CX4? CX4 interconnects offer the advantages of low-cost, low-latency, and low-power consumption at the expense of range. The length limitation for CX4 is 15m (49ft) when using passive cable assemblies. Some novel solutions exist which use active signal boosters or fiber optics to achieve lengths beyond 15m, but these solutions negate the cost, latency, and power benefits inherent to CX4 technology. Fortunately, lengths beyond 15m are rarely needed, since most switches reside in close proximity within a wiring closet. Question 4: What do I Need to Integrate CX4 into my Network? Depending upon your particular requirements, several upgrade paths exist to integrate CX4 into your network. Many switches from companies such as HP, Cisco, and Intel can be upgraded with a CX4 plug-in module. These CX4 modules are available in XENPAK, X2, and XFP configurations. Another option is to purchase a new CX4 capable switch. These high performance switches often feature a combination of CX4 ports and standard RJ45 ports for Gigabit Ethernet. Nearly all servers with PCI-Express slots can be upgraded with a CX4 enabled PCI-E NIC card. Finally, you will need quality CX4 Cables to connect to your gear. Question 5: What Types of Connectors are used on CX4 Cables? A properly designed CX4 cable should feature die-cast SFF-8470 InfiniBand type latching connectors. These connectors are easy to engage and will maintain continuity even if significant strain or vibration exists along the body of the cable. SFF-8470 thumbscrew style (i.e. SAS) connectors should be avoided since most equipment does not support them. Amphenol CX4 cables utilize the best connector on the market today, the Fujitsu microGiGaCN™. The microGiGaCN is the market’s original high-speed, differential-signal, copper interconnect for high-performance (data I/O) applications. Question 6: How Does CX4 Compare with 10GBase-R & 10GBase-T? CX4 has numerous advantages over 10GBase-R (Fiber) and 10GBase-T (Cat-6). An optical connection would require (2) 10-Gig optical modules and a fiber patch cord to function. This has significant cost and power budget implications. Running 10-Gigabit Ethernet over UTP cabling like Cat-6 may sound promising, but it is plagued by power consumption and latency issues. Today’s 10GBase-T chipsets are power hogs, as they require several Watts just to separate out signal noise. Here’s a comparison of how CX4 stacks up in terms of power-consumption in a 50-server datacenter. Essentially, CX4 consumes 6x-20x less power. Question 7: What is SpectraStrip SKEWCLEAR Cable? SKEWCLEAR® is a proprietary shielded parallel pair wire technology designed and built by Amphenol SpectraStrip. When transferring high-speed data over copper, signals will often arrive out of sync. This problem, known as skew, can lead to the complete collapse of signal integrity. SKEWCLEAR®,cable utilizes a novel manufacturing approach directed towards reducing within-pair and pair-to-pair time delay/amplitude-skew, critical for today’s high bandwidth applications. All Amphenol CX4 cables feature SKEWCLEAR® wire. Question 8: Why Choose Amphenol Brand CX4 Cables? As one of the world’s top three manufacturers of CX4 Cables, Amphenol is ready to meet the stringent demands of any potential 10-Gig network install, large or small. Assembling 10-Gig capable interconnects is often more of an art than a science. By using premium grade components and Amphenol-pioneered manufacturing techniques, Amphenol brand CX4 cables are simply the best cabling option on the market today. Best yet, Amphenol brand CX4 cables are always in-stock and ready for same-day shipping at CablesOnDemand.com. Question 9: Are Amphenol CX4 Cables Compatible with InfiniBand? Question 10: What If I Need Cables Longer than 15m (50ft)? CX4 to CX4 Active Optical Cables from 3M™ Interconnect Solutions Now In-Stock! Available in lengths ranging from 10m (32.8′) to 30m (98.4′), 3M’s Active Optical Cables offer the best power consumption in their class and connect between hardware with SFF-8470 ports (CX4/DDR InfiniBand). Please click here to view our entire selection of CX4-CX4 Active Optical Cables. QSFP to CX4 Active Optical Cables [$50 OFF SALE] from 3M™ Interconnect Solutions Now In-Stock! Available in lengths ranging from 10m (32.8′) to 50m (164′), 3M’s Active Optical Cables offer the best power consumption in their class and help bridge the gap between gear with SFF-8436 ports (QSFP and QSFP+).and SFF-8470 ports (CX4/DDR InfiniBand). Please click here to view our entire selection of QSFP-CX4 Hybrid Active Optical Cables. This entry was posted in 10GbE CX4 Cables and tagged 10-Gigabit Ethernet, 10GbE, 10GbE-CX4, Amphenol, Cables on Demand, CX4, CX4 Cables, InfiniBand on January 6, 2014 by cablesondemand. SFP+ Direct Attach Copper Cables: Passive or Active? Question: What is the Difference Between SMA and Reverse Polarity SMA Connectors? Amphenol Cables on Demand Launches New Official Blog Website at CablesOnDemandBlog.com to Help Answer Customer Cable Questions | HowTag on 10-Gigabit Ethernet Backbone Interface Options: Which One Should I Choose? Amphenol Cables on Demand Launches New Official Blog Website at CablesOnDemandBlog.com to Help Answer Customer Cable Questions | Best deals on amazon! on Question: How Do I Know How Many Amps Your Cable(s) will Handle? Amphenol Cables on Demand Launches New Official Blog Website at CablesOnDemandBlog.com to Help Answer Customer Cable Questions | Best deals on amazon! on What’s the Difference Between 50 Ohm and 75 Ohm Coaxial Cable? Amphenol Cables on Demand Launches New Official Blog Website at CablesOnDemandBlog.com to Help Answer Customer Cable Questions on What’s the Difference Between 50 Ohm and 75 Ohm Coaxial Cable? Amphenol Cables on Demand Launches New Official Blog Website at CablesOnDemandBlog.com to Help Answer Customer Cable Questions | North Fork Vue on 10-Gigabit Ethernet Backbone Interface Options: Which One Should I Choose?